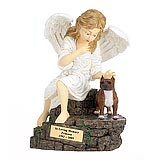 "Thank you for your email. 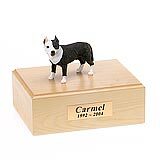 Yes, the urn arrived safely and is very beautiful. 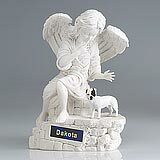 Our family appreciates the good service of your company. 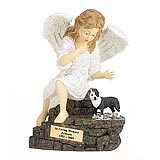 It was comforting during our time of loss." 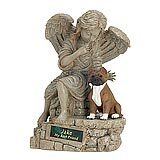 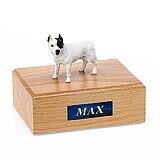 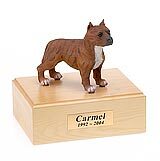 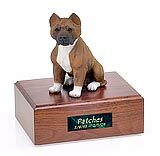 All available Pit Bull Terrier dog urns and memorials will be displayed with the figurine on the Pit Bull Terrier urn you select and in the appropriate size.